I've been playing for about 7 years. I usually play in the centre court, preferably Centre, but my fitness is down a bit right now so would be happy to focus on WD or WA. I am available most weekday evenings and on Sundays, but it does vary week to week. I can travel to anywhere around western Melbourne from Footscray out to Werribee. Played since year 3, but stopped when I graduated high school, keen to get back into it! Looking for an awesome social netball team to join around West Perth area preferably. I’ve been playing netball since I was 5 years old and Saturday mornings quickly became my favourite part of my week. I played competitively in division 1 (A grade) with a close group of girls who were some of my closest friends growing up and we had the best time on the court! I played for 13 years until I moved away to travel and study In Melbourne (I grew up in Sydney). I have pretty much played GD my whole life but I love any fast paced positions! I haven’t played properly for 3 years but I miss netball so much and am keen to get back into it and join a fun and competitive team to play with. Keen to play netball? 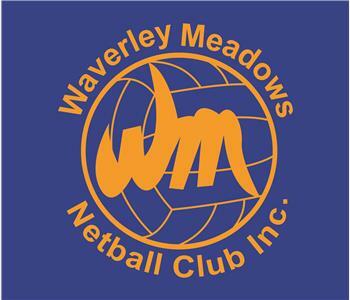 Why not join us at Waverley Meadows NC for night, Saturday or Sunday mixed netball. Please connect with us at www.wmnc.com.au or call/txt Liza on 0433 570 991. Looking for new players to join a Ladie's Social Netball Team on Wednesdays at GESAC. Looking for all positions and ideally who is able to play on a fairly regular basis. Otherwise happy to find some lovely fill ins. We are a team moving from another competition location so game times and info still in process. Look forward to hearing from you. We are looking for a player (female) to join our team on a Monday Night at Parkville (SNHC) this coming season. (Starts 4th Feb - 15 July) We are graded in A1 which is social but competitive at the same time! If your looking to stay fit, enjoy playing netball and love a competitive game, we we'd be keen to hear for you. Hi, I am currently on an exchange in Melbourne until the end of June. I have played for many years and played at county and university level. I play GS and looking for a team to join for the next few months :). I'm available most weeknights. Hey! I’ve played netball since I was in year 3.l and I really want to get back into it. I’d love to play permanently in a team each week as I really enjoy team sports :) Please feel free to send me a message if you need a player or want to make a new team! I’d preferably like to play at Lords but open to other locations!